How Can BPM and Customer Journey Mapping be Used Together? Customer Journey Mapping is getting more and more visibility. Vendors are adding support for this kind of modeling to their tools. Companies start CJM projects as parts of larger Customer Experience initiatives. Sometimes organizations feel that the job of the BPM teams is not “hot” anymore and Customer Experience specialists can lead the organizations to success in the age of the customer. Is it really so? 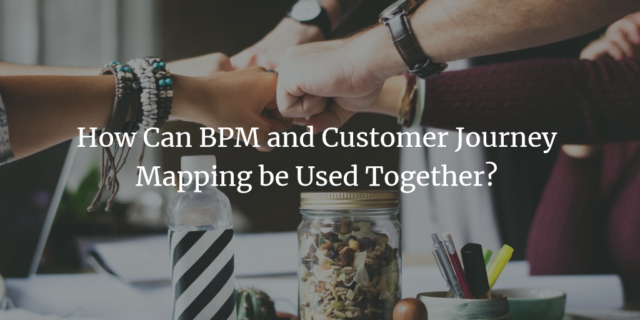 This article (originally published on BPTrends) shows relations between process modelling and customer journey mapping. Recently I had a chance to discuss the topic of process management with a CFO of a large company implementing BPM and it made me think how to talk about the benefits of process approach with the top executives. 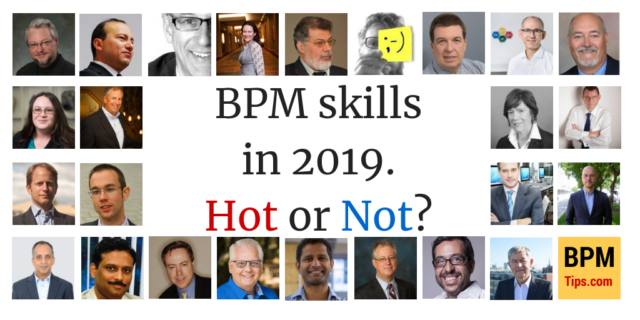 Those are busy people who don’t have the time to read long and detailed books about BPM. Usually, low-level technical topics or nuanced discussions are not valuable for them as they need a quick overview of the topic (whether it is process-based management or the process automation) plus compelling reason to make a decision. Do you want to learn more about Business Process Management? Below you can find a list of BPM related books that I have read and recommend as well as those that I plan to read. Everybody interested in Customer Experience (CEM) knows the quote about faster horses attributed to Henry Ford. 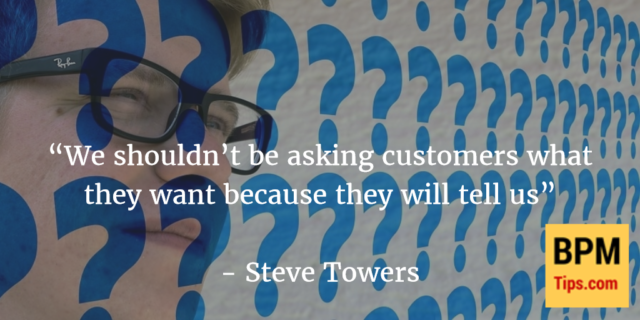 But if asking customers what they want is not sufficient, what should we do instead? 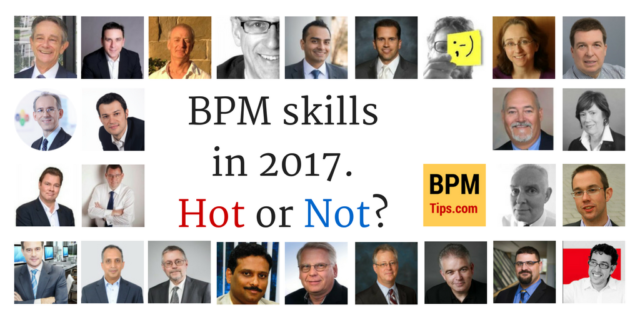 To help you answer this question and show how do the BPM and CEM fit together I invited for an interview Steve Towers. When I was a kid I enjoyed reading about heroes and gods from Greek mythology (and now I work for a company offering BPM tool called ADONIS – is it a coincidence?). One of my favorite was the one of Theseus who defeated the Minotaur. To do so he had to enter the dangerous Labyrinth created by Daedalus. He would not make it without help from Ariadne as she gave him instructions and the thread, so that he would not get lost. Today many organizations venture into realm of Digital Transformation. They want to become heroes for their customers (i.e. create outstanding Customer Experience). Some will be successful – even though their CEOs will probably not be immortalized in myths 🙂 Some will fail. What will make the difference? Having some guidance on what to do and proper tools supporting the Digital Transformation. 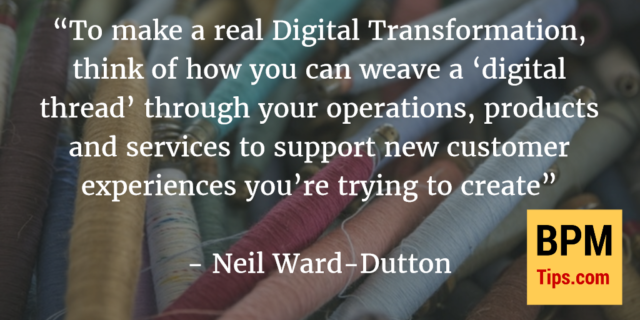 Neil Ward-Dutton from MWD Advisors shares tips on how to weave the ‘digital thread’ through your operations, products and services to support new customer experiences.